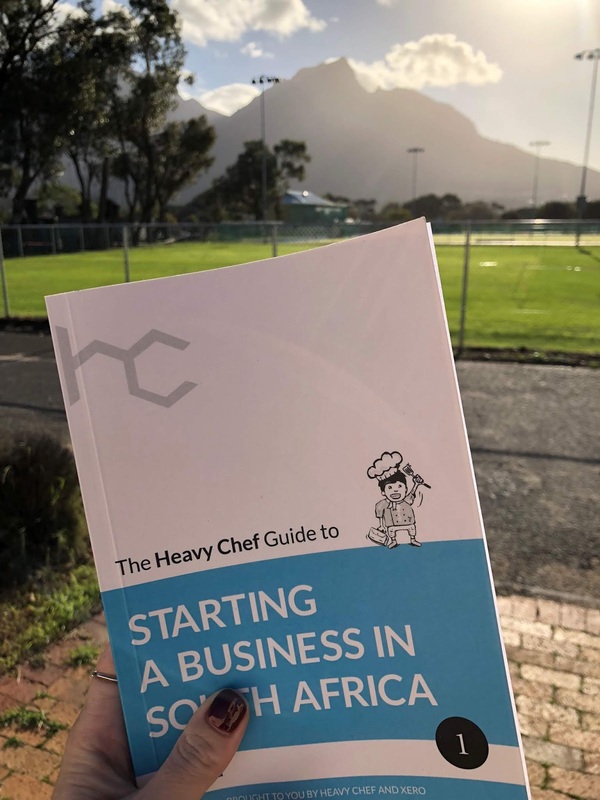 For those of you who haven’t heard of Heavy Chef – it really is an incredible initiative to bring South Africans together to learn about success, failure, and being a magic maker in a country rife for entrepreneurship. A brainchild of Fred Roed, co-founder of World Wide Creative, the brand stands for inspiring, doing and sharing. They host events regularly and I have become somewhat of a regular. Imagine my excitement when I saw that Fred was launching a guide to starting a business in South Africa, when the launch of my first business is a month away. Serendipity I tell you. The book launch was held on the 24th May at the V&A's Workshop17, and all attendees received a free copy of the guide. Read on if you are keen to hear my thoughts on this really nifty little book. How many times have you heard the words “fail faster” used in the tech / start up space? Gah. It has become somewhat of a cliché because who has so little at stake that this is truly an option? Fred anecdotally spoke about having failed at his first business at the launch, and in more detail in the book in a far more refreshing way. It certainly doesn’t mean you don’t have a lot at stake! He writes, “My own story involved having three young children in my early thirties, saddled with debt and having to claw my way out of it by selling my CD collection at second hand stores to pay for food and petrol. I had lost my house, my cars, my furniture and most of my possessions. […] It was a humiliating time for me, and I learned a lot about personal pride.” What a humbling start to becoming an entrepreneur. He later references my favourite TED talk ever – Angela LeeDuckworth’s “The Power of Passion and Perseverance.” She studied people in a broad variety of contexts to try and understand the most significant predictor of success. Wanna know what it was? “It wasn’t intelligence. It wasn’t good looks or physical health, and it wasn’t IQ. It was grit. Grit is passion and perseverance for very long term goals. Grit is having stamina, and sticking with your vision, day in, day out, not for the week or month, but for years, and working really hard to make that vision a reality.” Crikey, there’s little that has resonated so much with me in my lifetime, but that’s a story for another day. The guide offers a balanced guide of what it means to become an entrepreneur – spoiler alert: turns out Ronan Keating was right. Life is like a rollercoaster, especially when you embark into the unknown of creating your own destiny in business. 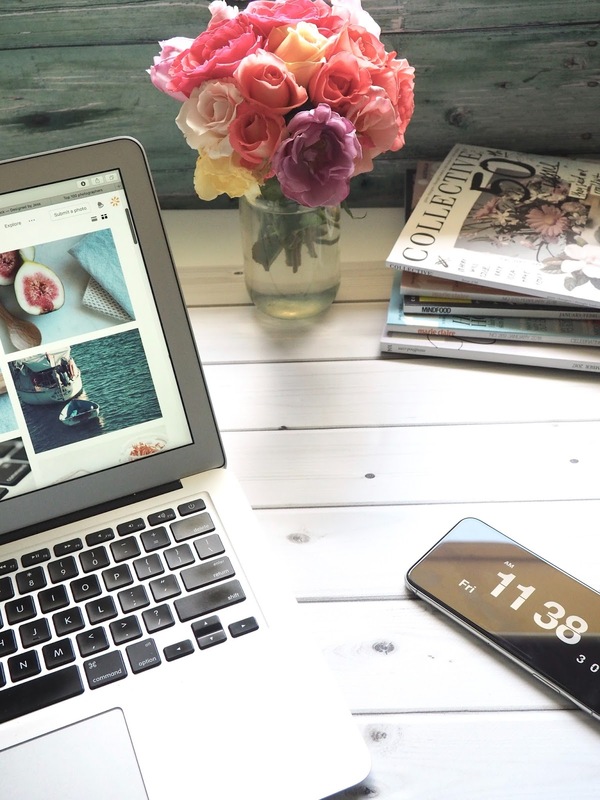 Fred is perfectly positioned to demonstrate that whilst there is no better time to start a business, thanks to laptops, smartphones and a plethora of information at our fingertips; it doesn’t make the journey to success any easier. It will be complex and messy, but worth every iota of effort. My favourite parts of the guide? “The New Tools” section unveils a really great selection of resources for entrepreneurs – everything from advice about creating a website, to making punchy videos. A pragmatist at heart, I really appreciated “The Admin Stuff” section which explains how to register a business, a process which I have dutifully been following. Although Fred doesn’t specifically advocate for the use of a business plan, he has included a beautifully presented example which you could use as a template for your own. Finally, I loved the “Be Like Leo” analogy, and not just because Leo di Caprio is my favourite actor. Only dogged persistence can get you an Oscar almost 25 years after your first nomination. I genuinely was blown away by the book. It is honest, it is relevant and it gives you all the feels that there are people out there who want you to succeed. Whose success is your success. Whose failures are willingly offered to mitigate your risk of making the same mistakes. And I say mitigate because I now understand that maybe Silicon Valley’s mantras are right. Failure is as much a part of the journey as success is, and keeping going is the only way to get there. As my matric Afrikaans guide to idioms said, “Agteros kom ook in die kraal”. Take that Simon Sinek. If you are a budding entrepreneur, I would highly recommend getting your hands on the guide. It makes me excited for the future that lies ahead for me and other young entrepreneurs. S/O to Fred for lending us his wisdom. Watch this space! I have long been a fan of Etsy, but for us South Africans, items from anywhere abroad take ages to ship to us and often don't even make it to us! 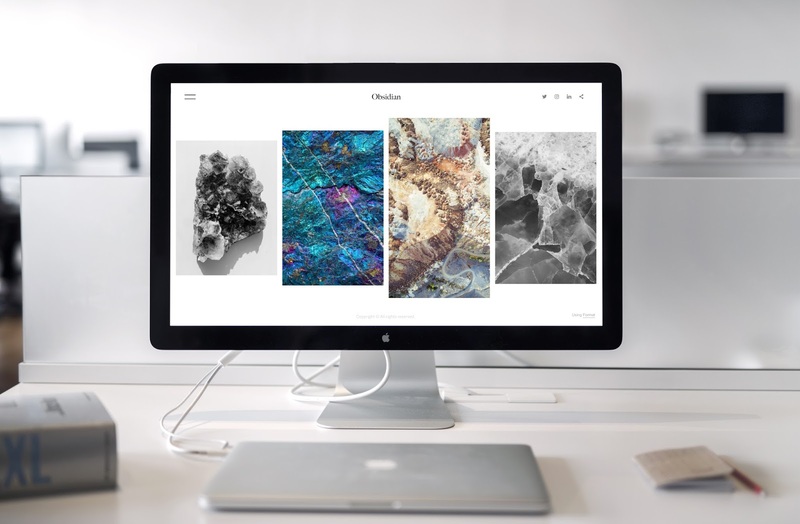 However, one of the cool things about Etsy is all the digital prints available instantly for download, which means no waiting time - and major decor inspiration! I have curated my favourite prints from across the WORLD which you can download in seconds off Etsy and have printed on whatever material you like at your local print shop. Hopefully these will help inspire you to make over a nook of your home! Which one is your favourite? Hit me up! The beginning of April saw a lot of change, including moving into the outside flat of my digs! I previously had just a room in a house share with an en suite bathroom, so when the outside granny flat opened up, I was all too excited to move in and make it my own! The flat has an entrance hall, two bedrooms, a walk in cupboard and an en suite bathroom. I didn't want to buy a whole lot of new furniture, but I did need to buy some strategic new pieces to make it look like a cosy, lived in space. This post is a part 1 of the transformation - showing you what initially inspired me, and some of the items I ended up buying, or what I cobbled together from my old room. Of course, the first place I went was Pinterest, to get some decor inspiration. 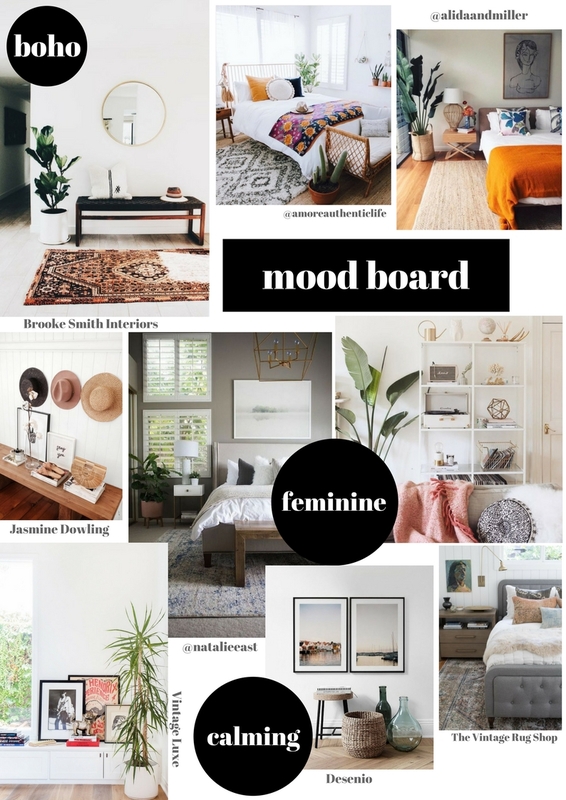 I have popped together my favourite spaces, so you can see the kind of style I was going for. 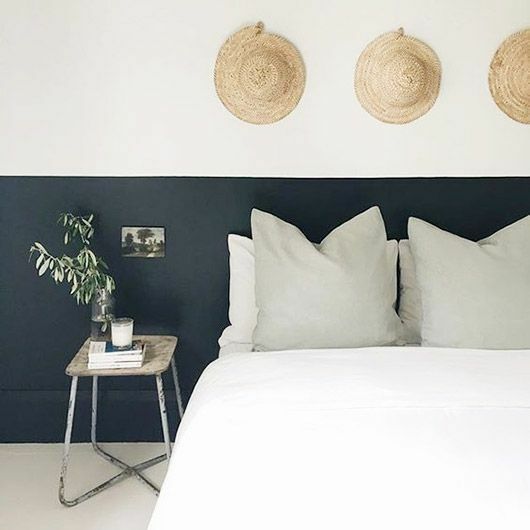 I love natural, practical decor which is unfussy but still chic. Trends which are very in at the moment lend themselves well to this like bohemian, modern century and Scandinavian minimalist. I am not normally drawn to browns/mustards and tend to opt for cooler shades, so I just loved seeing how they can add warmth and detail without looking like the seventies gone wrong. The final look ended up a bit more clean cut than my moodboard, but I tried my best to be a little bit more adventurous than usual! The silky illusion rug pictured below, as an example, was a great way to incorporate print whilst still keeping the overall feel very crisp. 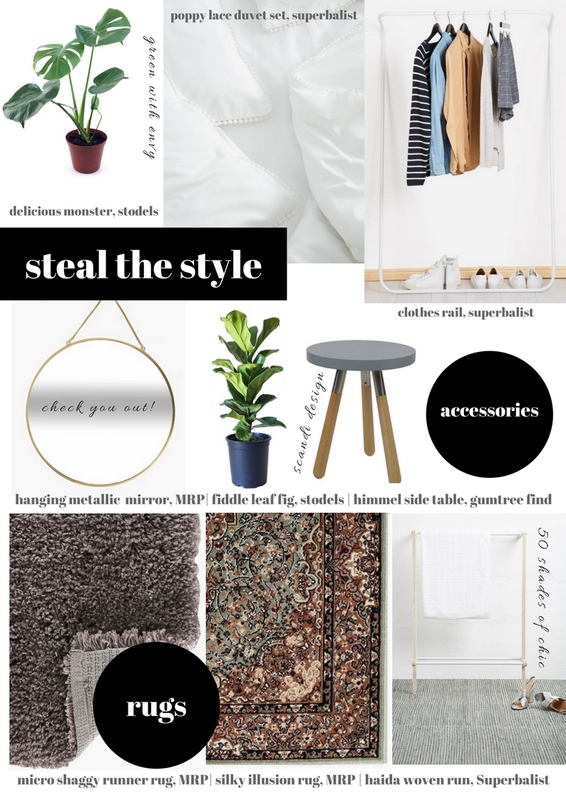 I didn't purchase all of the below items just for the flat as I of course, I had a few key items from my old bedroom - but I have included some of the key pieces of the new look in the montage below - so that you can steal the style, or just your favourite item! Because its a tiled, outside flat, I placed the most emphasis on rugs as I felt this would be most important to make it feel warm and cosy - especially ahead of a Cape Town winter. The rest of the items I purchased were really just to add interest and stop it from feeling stark or unlived in. So... how did it turn out you ask? You will have to keep your eyes peeled for Part 2 of the flat overhaul! Have any cool decor finds to share? I'd love to hear all about them! For as long as I can remember, I have wanted to work in advertising. The movies always make it look so glamourous, and to me it seems like the perfect mix of creativity and business. When I was in Grade 11, a friend and I made our way to Cape Town (on a bus from Knysna, nogal) to see what advertising was all about. My aunt Cal runs an amazing post production studio called Priest Post Production and shadowing her for a week really set my dream ablaze to work in the "big city" (Joburg eat your heart out). Granted, she is by no means your average agency owner - not only does she not age, ever, she is a genuinely, extraordinarily lovely person. So let's just say my foray into advertising was equal parts shiny and naive. I commenced by journey at Rhodes University, where I studied a Bachelor of Arts in Photojournalism and German (my parents were too kind to advocate a pragmatic combination). My third year saw me question whether journalism was in fact a road I wanted to go down. The light and fluffy reason? My inherent desire to wear heels and have access to a stationary cupboard MUST mean this is the wrong path. The real reason? My sensitive soul left my heart aching post most interviews / photoshoots at my inability to help action any kind of social or moral justice to the unheard, marginalized or silenced. Which is not to say that journalism is without power (I have enormous respect for media and the invaluable mouthpiece it creates), I quite simply wasn't very good at it. So I decided to move to Stellenbosch to study a post graduate diploma in marketing, at the Stellenbosch Graduate School of Business. I not only thoroughly enjoyed the course but almost instantly realised that digital marketing was what excited me most. The discipline's combination of human psychology (consumer centricity) in an ever changing tech landscape still delights me, well into my professional career. I was lucky enough to land an internship at a then small agency in Muizenberg called Techsys Digital. I started in the project management team but quickly shifted into strategy, thanks to a die-hard love of Powerpoint, Google Analytics and a voracious appetite for reading and analysing marketing trends. After almost three and a half years there, I decided to pursue a long standing dream to apply for a job at Ogilvy. Needless to say, I was over the moon to get a job at Gloo, the company which became Ogilvy's digital arm. Eighteen tough months followed of late nights, pitching and an ongoing battle with imposter syndrome. But in the back of my mind, the saying "if you are the smartest person in the room, you are in the wrong room" drove me forward. That and the best girl gang I could ever have asked for - there are some SHOW STOPPING women in digital. And once I had set out to achieve all the things I had hoped for, I was offered to rejoin Techsys as their Head of Strategy. I now manage strategists in both Joburg and Cape Town and pursue innovation projects in addition to "bread and butter" type strategy. It is a career path that is thrilling on some days and daunting on others, but I honestly wouldn't have it any other way. 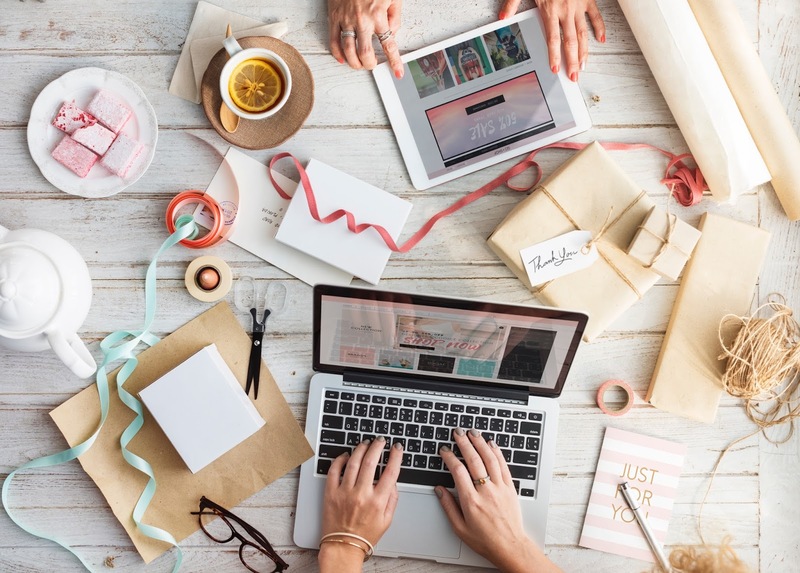 The industry is booming in South Africa thanks to larger and larger budgets being allocated to digital and the young bright minds who not only bring the ideas to life, but also make the money go further than it would on any other medium. As for me, I'm still not the smartest person in the room, so I know this is the right room for me. BECOME A GIFTING GODDESS | Best Gifting Stores in SA Online and Off! Looking for gifts in Cape Town and tired of the run of the mill chain stores? Here are five of of Cape Towns finest specialty stores which are guaranteed to win you brownie points and secure you gifting goddess status. Think: Screen printing and beautiful typography on a variety of homeware products such as cushions, aprons, laptop and tablet sleeves. Think: Organic products which are environmentally friendly and made with love! Incredients include beeswax and exotic oils like baobab, avocado and lemongrass, to create body waxes, oils and hand washes in flavours like Green Rooibos, Lavendar & Roman Chamomile and Grapefruit, Sweet Orange and Tea Tree! I have the Grapefruit body wax and it smells divine! Black Betty jewellery is to die for! They offer precious & semi precious designer jewellery at accessible prices, and their collections are always on trend. It is easy to shop in your budget as they categorize their products in pricing bands on their site, e.g. less than R300, R300 - R500 and so on. I own the double stone bangle and the Kink ring in silver, both from the Kola range ; as well as the Stellar Cluster earrings from the Cosmos range. My favourite section of the website is their broad range of stacking rings. Tilone is a t-shirt line inspired by fashion icons like Anna Wintour, Karl Lagerfeld, The Olsen Twins, Iris Apfel and Coco Chanel. 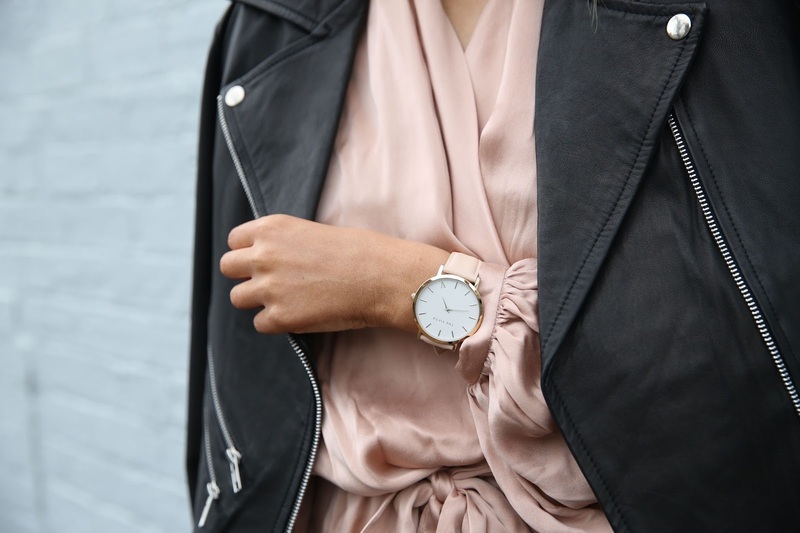 The label is minimalistic and conscious, making it the perfect gift for your favourite fashionista friend. My aunt gave me the Iris Apfel tshirt and I have been rocking it with pride ever since. Okay okay, not technically a gifting store, but these gorgeous bags are fresh out of Sydney Australia and are newly available on Takealot! They are the most beautiful perforated neoprene totes. They are perfect for gymming, shopping, lazy lunching. They have the larger totes in black, olive and grey for R1000 with mini tote versions in navy, burgundy and glossy black for R650. The style is big globally with brands like Prene Bags offering similar versions. I in fact found a whole neoprene bag guide, which is guaranteed to get you drooling! Anyway for now I am delighted there is a local equivalent so shop to your heart's content! 50 Kloof St, Gardens, Cape Town or Shop Number G72, Willowbridge Store with an online shop coming soon! Think: A showcase of local designers with products spanning from beautiful ceramics, to crochet pot hangers, to intricate jewellery. This is a one stop shop for thoughtful gifts which are kooky and clever! Want to be a part of this chic list or know of a shop which should be? Contact me! Whether its the first of January or the middle of the year, now is as good a time as ever to start positive daily habits which will support and encourage you in the year ahead. As easy as it is to depend on relationships to lift our spirits and make us strong, I truly believe that the best gift you can give yourself is the equipment in all you need to be happy and positive each day, so that any other boosts you receive are simply a bonus. 1. Recognize The Small Steps I Take! As I woman, I find myself so much on the quest for perfection that I forget to appreciate small milestones which, although an indication of success, do not quash feelings of inadequacy. If your goal is to lose weight or get fitter (for example) it's easy to be overwhelmed by the end goal instead of focussing on the journey and the small adjustments in your mindset that it will take to get there. And when you really think about it, it's absurd that you dwell on something that seems difficult and will easily put you off even trying, rather than on tiny things that are 100% in your control and ultimately form the building blocks to your success. So next time you choose a healthier meal, go for a run or squeeze in an ab class, recognize that you are already successful in your goals as you are actively going about doing something to achieve them. Social media makes it easy for us to spend our days dwelling on a lifestyle that we don't have - making us feel like we aren't on the right path in terms of money, relationships or career. The truth is, that everyone is fighting their own battles, and these are never self evident online. We don't post about our failures, embarrassments or challenges, and neither do the people we aimlessly aspire to be - for their body, boyfriend or makeup collection. Whoever said that "comparison is the thief of joy" couldn't be more right. It squanders energy on a pursuit which is negative and really damaging to our precious self esteem which usually doesn't require any further hampering. 3. Be Grateful and Gracious. Gratitude allows us to focus on the positives in life, which we are actively then able to leverage into creating more positives. By recognizing your strengths and the beauty of what you have, it makes it easy to wake up positive and happy each day, which is integral in achieving your dreams. If you think to yourself - I feel so strong today, thank goodness for my health and capable body - it cultivates appreciation for yourself, helping your self image, not to mention underscoring the value of your relationships. It's so easy to forget how unpleasant it feels to be sick or unwell, but it's important to realise how integral your health is to a good lifestyle, before your body has to remind you! At the same time, it's worth remembering that being grateful doesn't mean bragging about material things, but rather being gracious and remembering that not everyone is lucky enough to have what you do. When you have a lot on your plate, it makes it hard to prioritize on what is most important, and it becomes hard to focus on one thing at a time. The best way to be more productive, rather than frantically rushing from one task to another, is to make a master list which covers everything you need to do (work wise and for your personal life) and then when you take a break, you are able to refer back to the list and see what progress you are making! The more you use To Do lists, the better you are able to use breaks to regroup and move onto your next task. And never underestimate the merits of a face mask! This is the most amazing realisation to make. There is no point in committing to endless social engagements, helping your family, doing volunteer work, being a supportive friend and partner, only to become a fragile and frazzled version of yourself. It is not sustainable in the long term to go flat out until you become unwell, exhausted or unkept. Happiness is contagious, and no matter how hard you try to force it, it will elude you until you genuinely feel fulfilled as a person. You can then lift those around you to become better versions of themselves, without doing it in the hopes that they will help you back. You need to be able to give selflessly and require nothing in return for it to be truly meaningful help. So work out what it takes for you to feel content - whether it's a good nights sleep, a good book or a killer sweat sesh. 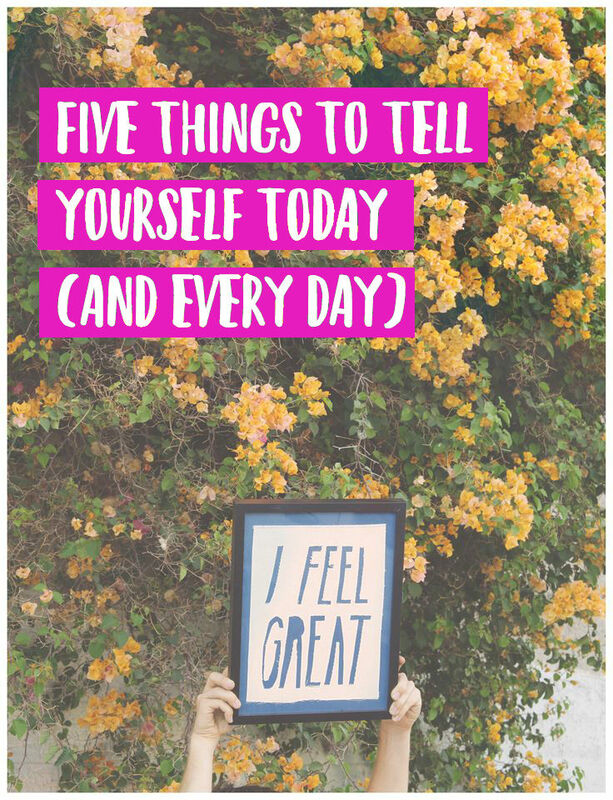 What do you tell yourself daily to feel self-loved and happy? I'd love to know!